By the time Leigh Clapham, MasterCard’s new head of Australia and New Zealand arrived, the organisation faced numerous business challenges. MasterCard had been progressively losing market share in Australia and New Zealand over previous years and had signed a limited number of new business agreements. And while the organisation’s managers had strong industry knowledge, the prevailing culture and leadership style were not promoting effectiveness. To complicate matters further, MasterCard was facing regulatory intervention from the Reserve Bank of Australia. In short, urgent change was required to drive business performance. We began working with MasterCard to support Mr. Clapham and his executive team in the drive for business performance which continues under his successor today. The work began with the development of a bold new vision to dramatically increase MasterCard’s market share. To achieve the step change in performance required by this vision, our work together focused heavily on increasing the effectiveness of senior leaders and positively shifting their impact on the local operating culture. In parallel, we implemented a new structure, and developed the capability and teamwork of the business development team. Finally, we aligned the organisation’s performance systems to the new vision, and ensured that every single staff member had a clear line of sight between the vision and their day-to-day work. 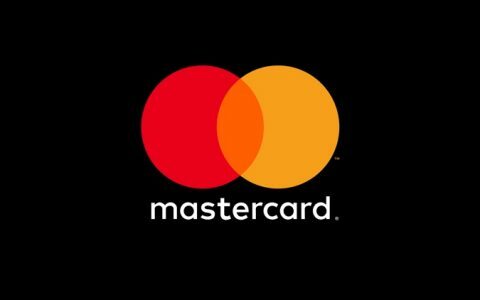 Within just two years, MasterCard increased its success rate with new business agreements from 30% to 66% and its market share of total credit cards in Australia increased from 29% to 40%, achieving the bold vision set by the Leadership Team. The sustainability of our work with MasterCard is evidenced by the continued increases in market share reaching as high as 50%. MasterCard Australia’s employee engagement scores, as measured by the company’s global engagement survey, increased exponentially over the same period. ‘Understand what my manager expects of me’ increased from 88% to 96%; ‘We stay focused on critical tasks’ increased from 71% to 96%; ‘People work together as a team’ increased from 71% to 87%; and ‘MasterCard creates an environment where people give discretionary effort’ increased from 53% to 86%. The MasterCard transformation was so compelling, that it was studied by distinguished professor Dexter Dunphy, and written up in his landmark book In Great Company; Unlocking The Secrets of Cultural Transformation. “TAP has proved an excellent business partner to MasterCard Australia and New Zealand. Our process to systematically develop a high performance culture and leadership team has helped us to achieve significant growth in market share and revenue. As a result of the process, our leadership team demonstrates greater confidence, teamwork and effective decision making processes based on shared vision and values. At the organisation level, we have been able to successfully align our systems, communication and structures to produce superior performance. Our relationship with TAP is excellent and the process continues to be central to our plans for the future. I have already recommended TAP to several business associates and will continue to do so in future”.